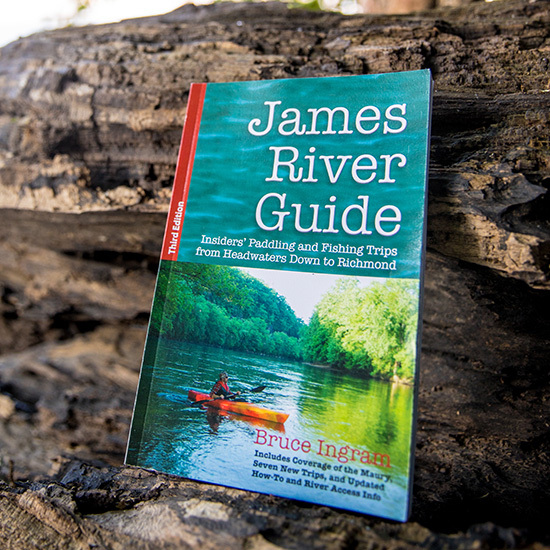 From the headwaters in the Blue Ridge Mountains, to the fall line in Richmond, the James River is one of the ultimate paddling and angling destinations on the East Coast. After covering over a hundred river miles, well-known outdoor writer Bruce Ingram as put together one of the most comprehensive paddling guides on the market. This most have is publication is filled with detailed maps, scenic wildlife viewing opportunities, and valuable tips for connecting with that next big fish. This is your chance to learn how to slow down and appreciate the beauty of the world around you.